Tennis great, Serena Williams made a ruthless start in her quest for a record-equalling 24th Grand Slam singles title with a 6-0, 6-2 victory over Germany’s Tatjana Maria in the first round of the Australian Open on Tuesday morning. The seven-time Australian Open champion who was pregnant when she won the last of her 23rd Grand Slam titles at Melbourne Park showed her brutal power and athleticism in the match played at Rod Laver Arena. 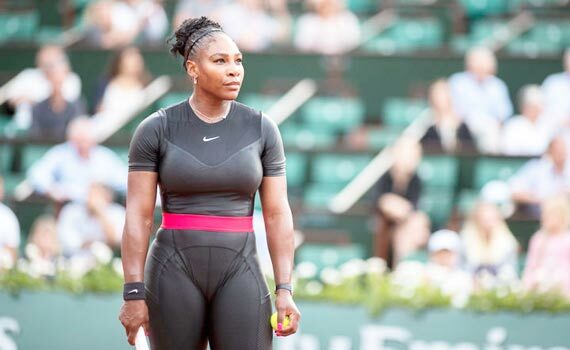 Playing her first Grand Slam since her controversial outburst against the umpire at last year’s US Open final, the 37-year-old Williams lost only 24 points against the unseeded Maria. Speaking after the match, Williams, who is looking to equal Margaret Court’s all-time record of 24 titles said she was excited to be back in action with a strong start in Australia. “I have so many good memories of the last time I was here. It was literally the best win of my career, so it’s just good to get back. I’m glad that I was able to come out and do what I needed to do. The American is expected to play with the winner of the match between Peng Shuai and Eugenie Bouchard in the next round.